Paul Griffith joins Endeavor Commerce, a leader in Configure-Price-Quote (CPQ) solutions for mid-market businesses. I’m excited to be in an industry and company poised for tremendous growth. Endeavor, a Configure-Price-Quote (CPQ) leader, is happy to announce the appointment of Paul Griffith as Chief Operating Officer. Griffith joins the Endeavor team after more than a decade of service in the consumer space with Time Warner and AOL. He will be in charge of three key components of the growing business, Marketing, Product Development and Client Services. Griffith has made a career in the information technologies and services industry. Most recently, Griffith spent four years as Senior Director, Corporate Business Development at AOL where he led teams focused on the growth and evolution of brands including AOL.com, Wow.com, AOL Search, MapQuest, Huffington Post and TechCrunch. Paul oversaw AOL’s partnership and acquisition efforts with consumer Internet brands. Prior to AOL, Griffith, graduate of Texas A&M University, managed global services deployments for Dell Computer Corp.
Griffith’s addition is part of an exciting year of changes for Endeavor. 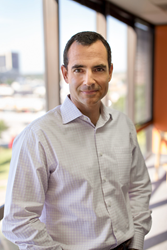 After growing its physical footprint in Dallas, TX, Endeavor announced the latest release of its cloud platform, CPQ9 in April, and re-launched its website endeavorcpq.com in July.